London is the largest city in the United Kingdom. London is the largest city in Europe. The exact centre of London is marked by a plaque in the Church of St Martin's-in-the-Fields overlooking Trafalgar Square. The tallest building in London is The Shard London Bridge - 310 meters (1,017ft) tall. London is twinned with New York, Moscow and Berlin. Population density: f 4,542 inhabitants per 11,760 /sq mi. 23 and 24 Leinster Gardens in Paddington are dummy houses built to hide the Tube line running underneath (the Metropolitan). The windows are painted on, and behind the façade is a track. The River Thames flows through London. Richard the Lionheart introduced swans to Britain in the 12th century, from Cyprus. Mute swans on parts of the Thames are owned by the Crown. Claiming and counting them, is known as Swan Upping. The Strand (a road running parallel to the Thames) is where the edge of the Thames used to be (hence the name). The construction of the Embankment enclosed the river and increased its tidal range. There have been three London Bridges. The first London Bridge was built 1209-1831 It contained houses and shops. The second by John Rennie, built to replace the original, lasted until 1968, when it was sold to an American entrepreneur. Tower Bridge is the most recognisable bridge on the River Thames and is often mistakenly referred to as “London Bridge”. The total cost of construction was £1, 184,000 (£100 million as of 2011). The bridge was officially opened on 30 June 1894 by The Prince of Wales (the future King Edward Vll) and his wife, The Princess of Wales. It takes 61 seconds to open Tower Bridge, which opens about 1,000 times a year. Tower Bridge is the only bridge over the Thames that can be raised as it is a combined bascule (drawbridge) and suspension bridge. This means that the middle section of the bridge can be raised to allow river traffic to pass through. The bridge was originally painted a chocolate brown colour. Then in 1977, it was painted red, white and blue for the Queen’s Silver Jubilee. There have been several incidents on the bridge over the years. In December 1952, the bridge opened while a number 78 doubledecker bus was on it! The Romans were first to settle where London is today. They called it Londinium. The Saxons destroyed London Bridge in 1014 by using boats and ropes to tear it down. In Medieval England animals were brought into court, and tried and sentenced by the judge for any mischief or damage they did! The Blitz and other bombing by the German Luftwaffe during World War II killed over 30,000 Londoners and destroyed many houses and other buildings across London. London has 43 universities, the largest concentration of higher education in Europe. More than 300 languages are spoken within London. The London Underground is the oldest underground railway network in the world. The London Underground, was built in 1863, and was the first metro of the world. The London Underground is known as 'the Tube’. 55% of the London Underground, is not underground. Five stations on the Underground system are named after pubs: Elephant & Castle, Angel, Swiss Cottage, Royal Oak and Manor House. 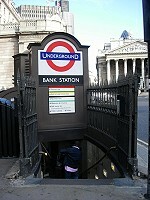 Angel Tube Station, has Western Europe’s longest escalator with 318 steps. The British Transport Police are responsible for police services on National Rail and London Underground services. The Savoy Court, leading into the Savoy Hotel, is the only place in Britain where cars enter and exit on the right. This was changed by an act of parliament, to enable women to exit cars first, since they traditionally sat behind the driver (from horse and carriage days). The traditional colour of taxis in London is Black. Today the 'Black Cabs' come in 12 different colours. 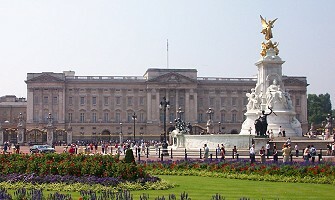 Buckingham Palace has 775 rooms. These include 19 State rooms, 52 Royal and guest bedrooms, 188 staff bedrooms, 92 offices and 78 bathrooms. Buckingham Palace gets its name from a man named Duke of Buckingham. 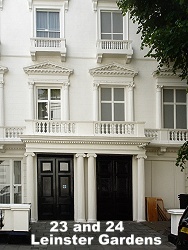 He built Buckingham House for himself as a grand London home. In 1761, George III bought Buckingham House for his wife, Queen Charlotte. The first monarch to use Buckingham Palace as their official residence was Queen Victoria, who moved there in 1837. Over 800 members of staff are based at Buckingham Palace. Their jobs range from housekeeping to horticulture, catering to correspondence. Some of the more unusual jobs include fendersmith, clockmaker and flagman. Big Ben is not actually the name of the clock or the tower. It is the 13-ton bell inside the clock. 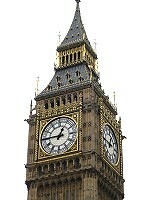 The tower is known as St Stephens Tower but most people refer to it as Big Ben. The Houses of Parliament has 1,000 rooms, 100 staircases, 11 courtyards, eight bars and six restaurants - none of them open to the public. The Houses of Parliament are part of the greater Palace of Westminster, built by Barry and Pugin in the mid-19th century. The West End is London’s main entertainment (theatres) and shopping district. Marble Arch was originally built as the entrance to Buckingham Palace, but was never used. Inside is a tiny office, that use to be used as a police station. Find the answers to questions during your imaginary visit to London.